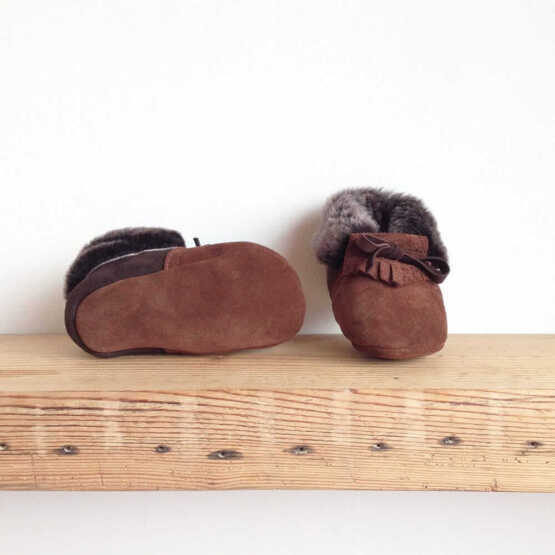 These beautiful little moccasin booties are made from local shearling (sheepskin), super soft suede and leather laces. They are elasticated through the collar which makes them comfortable and easy to slip on, and means they don’t keep falling off too. The shoe laces are purely decorative. Each pair of baby moccasins arrives in cute printed canvas bag. 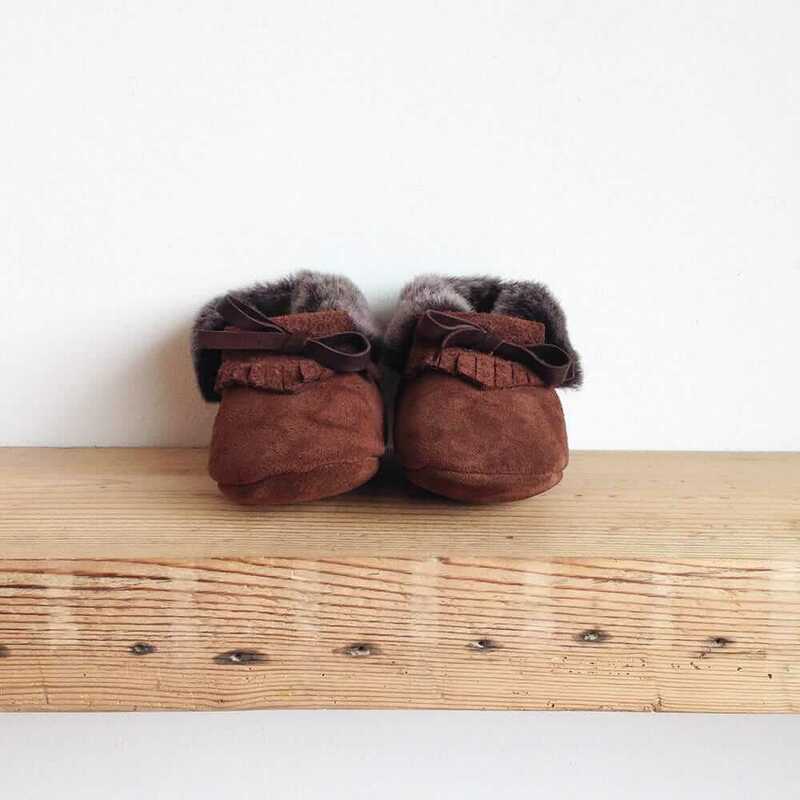 Purchasing a size up, or whichever size the baby will fit during the winter months, is recommended so there is some growing room. If in doubt you can measure the length of your babies foot and check against the measurements below. 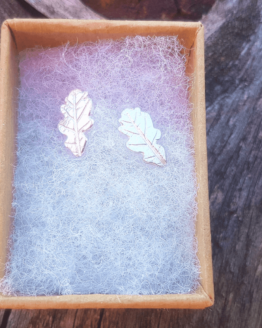 If the size you require is not available, please email naomi@thesetwohands.co.uk and they can be made bespoke. Please note that the average make time is 4 weeks.